In this podcast, Ramon Ray chats with Zach Zepf, owner of Zeponic Farms, an urban agriculture company that does all of their farming out of a shipping container using hydroponic technology. The business uses 90% less water than a typical farm without pesticides. They provide fresh produce to markets in Virginia, and all of their farming is done by people with special needs or autism. 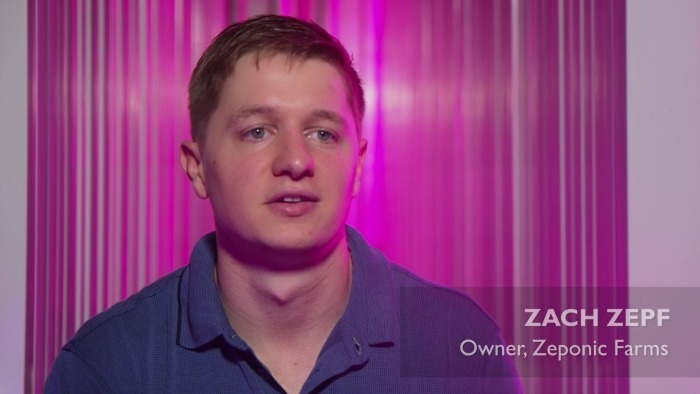 Zepf’s younger brother, who has autism, was the inspiration for Zeponic Farms because when he couldn’t find employment, Zach decided to create a career for him and other special needs people in the community that would make them feel like they were truly a part of something big. Zeponic Farms has an ideal partnership with George Mason University where autistic and special needs students can farm produce for the campus. The dining halls use this produce for the university’s meals. Zepf hopes to get containers on college campuses with special needs and autism programs around the country. Zeponic Farms won the 2016 SCORE Outstanding Green Business Award. His SCORE mentor, Len Johnson, taught him how to run a business successfully and provided him with support as his business was gaining momentum. Zepf urges other entrepreneurs to follow their passions and not be afraid to ask help from others.